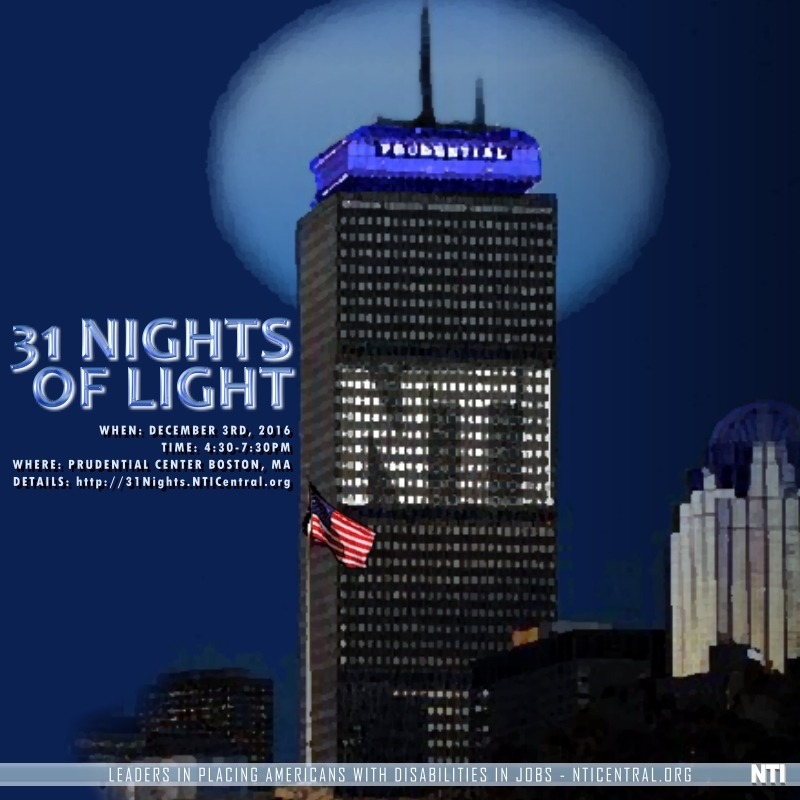 A call for speakers is occurring for the 31 Nights of Lights Event on December 3rd, 2016 from 4:30 to 7:30 to honor NTI in their achievement placing Americans with Disabilities in the workplace nationwide. Boston, MA-NH (1888PressRelease) October 25, 2016 - The call for speakers will occur through 7 PM on October 30th. The topic of the event focuses on disability in the workplace.